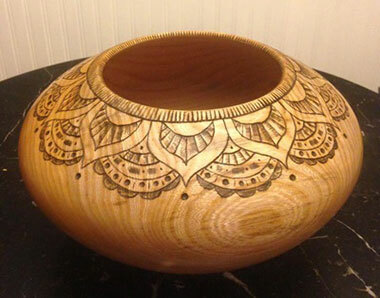 Tommy Gagnon of Boston Woodturning creates one of a kind hand crafted fine art as well as usable utilitarian pieces from a variety of local wood. The wood we use is from all over the North of Boston. What we do is cut logs from felled trees and wood turn them into art and decorative pieces as well as functional pieces. Boston Woodturning also offers private lessons and group classes to anyone who wants to learn the fine art of woodturning all tools and supplies are provided for the duration of the lesson/class.